When you need emergency veterinary care you should be able to count on superior care and excellent service. We at Pet Emergency Center in Missoula MT have assembled an expert team of veterinary professionals to bring you the best possible emergency care for your pet. 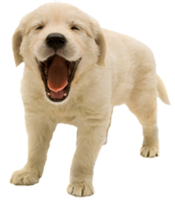 We have a fully equipped veterinary facility which is clean, comfortable, and efficient. Call 406-829-9300 or walk right in, no appointment is necessary. After you arrive, a veterinary technician will greet you, ask you to complete a new patient form and review your pet's history as well as the current problem. One of our licensed veterinarians will then examine your pet and discuss the findings. We will provide you with a written estimate of diagnostics and treatment before we proceed.